This article was written by Global Graduates, published on 23rd October 2014 and has been read 19208 times. In honour of the spookiest of holidays, we've done a little research into the Halloween-themed traditions of countries around the world. Check out this handy guide and impress your neighbours by ditching the usual trick-or-treating in favour of something with a little more local colour! Halloween originated in the ancient Celtic festival of the dead, Samhain (pronounced SAH-win). The ancient Celts celebrated October 31st as the day when the normally strict boundaries between the worlds of the living and the dead would blur, and ghosts could walk the earth. Samhain also coincided with the final harvests of the year and the stockpiling of stores for winter, when the days grew shorter and winter itself began to die. With the later spread of Christianity, the Church attempted to subsume the festival under the celebration of martyrs and saints held on November 1st, All Saints Day. The Christian festival was called All-Hallows, while the evening before was called All-Hallows-Eve, and later Halloween. In the UK, the USA and Canada, Halloween has become synonymous with pumpkin carving, horror movies, apple bobbing and demanding sugary snacks from strangers. It's sometimes easy to forget that the rest of the world have their own traditions for this ghostly holiday - that is, if they celebrate it at all. With its Celtic roots, Ireland is widely considered to be the birthplace of Halloween. As well as many recognisable spooky traditions, the Irish also have a few of their own. They play a card game where cards are laid face-down on a table with sweets or coins hidden beneath them. When a child selects a card, he or she receives whatever prize might be found there. 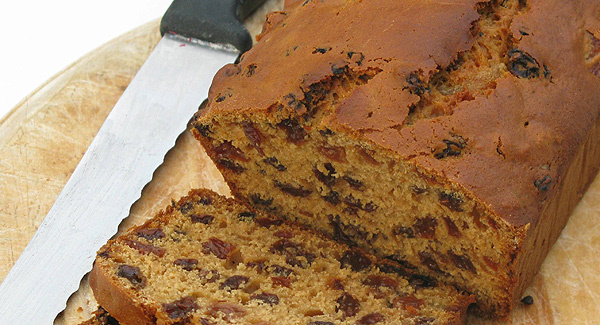 They also eat a kind of fruitcake called 'barnbrack', baked with a muslin-wrapped treat inside that is said to foretell the future of the one who finds it. A piece of straw symbolises a prosperous year ahead, for example, whilst a ring would indicate an upcoming marriage (perhaps not one to play with the kids). Like Ireland, Scotland has a couple of kooky Halloween traditions of its own. My personal favourite? 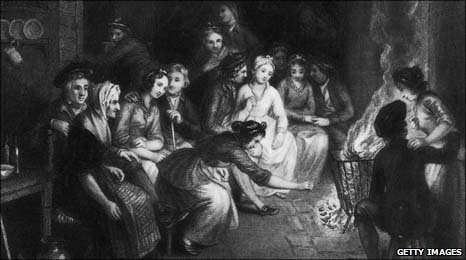 Girls believed that if they hung their wet sheets in front of the fire on the evening of Halloween, they would be able to see images of their future husband. Right. Bad news if you're spending your year abroad in Japan. The Japanese Festival of the Dead, which is called Obon, actually takes place in August, so you might have missed the boat on that one. The biggest difference between Halloween and Obon is in the depiction of ghosts; whilst in the Western world, we believe the dead return to the world of the living purely to scare the *bejesus* out of us, the Japanese celebrate Obon as a day when the spirits of their ancestors pop in for a pleasant visit, often preparing edible offerings which are placed on altars in temples and in their homes. The festival is also sometimes known as The Festival of Lanterns, a name which is easily explained by the fact that this is one lantern-dominated holiday. 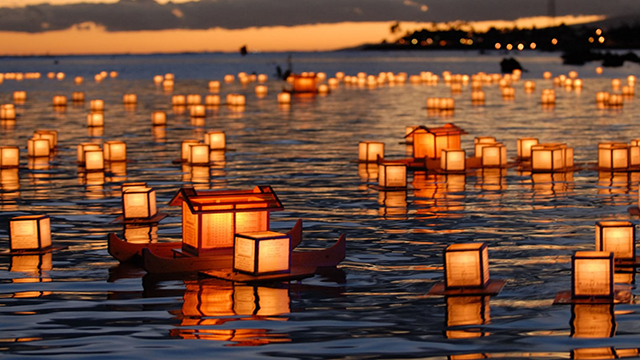 Not only do families hang lanterns outside their houses to help the spirits find their way home, but they also send colourful paper lanterns floating down the rivers and out to sea, with the aim of providing the ghosts with an illuminated path back to the world of the dead. If you happen to be spending your year abroad in Cambodia (which, by the way, is extremely cool and very much jealousy-inducing), then you may also have missed your chance to get dressed up and spook the locals. 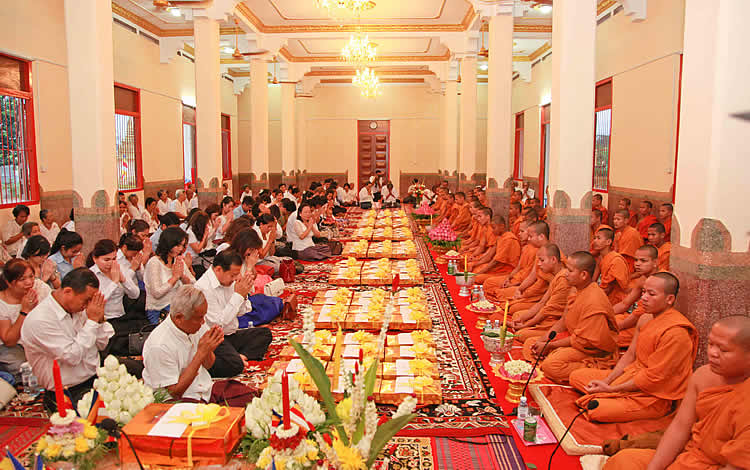 Cambodians celebrate Pak Ben in the tenth month of the lunar calendar, which usually falls in September. For 14 days during Pak Ben, locals wake before dawn to prepare offerings of food and other gifts to the monks living in the local pagoda and to their ancestors. On the 15th day and final day of the Pak Ben, they bring special sweet treats wrapped in banana leaves to mark the Pchum Ben, otherwise known as the Festival of the Dead. Pchum Ben celebrations are a little bit more dignified than your standard Halloween party. The Cambodians mark this Festival of the Dead by getting dressed up in their finery and heading to the local pagoda where they listen to music and speeches by monks, eat delicious food and spend time with their loved ones. El Día de Muertos - or the Day of the Dead Festival - is one of Mexico's best-known holidays, blends together European traditions brought to Mexico by Spanish conquistadors and Aztec traditions from Mexico's pre-Columbian past. The Aztecs’ Festival of the Dead was dedicated to the goddess Mictecacihuatl, or the Lady of the Dead, and it went on for nearly two months, with participants honouring the dead with offerings of food, alcohol, flowers and ceramics. With the arrival of the Catholic Spanish, el Día de los Muertos began to be celebrated under the auspices of All Saints Day (1st November) and All Souls Day (2nd November), transitioning into the three-day festival (31st Oct-2nd Nov) recognised by modern Mexicans. Unlike Halloween, which is purposefully dark and spooky in tone, El Día de los Muertos is a happy occasion (despite the creepy skeleton facepaint), when the dead are believed to return to their earthly homes to visit their loved ones. 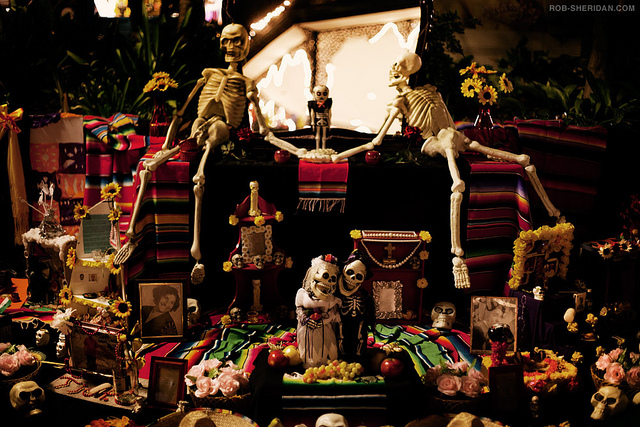 Therefore, as well as marking the fiesta with street parties and parades, Mexicans also set up altars and decorate graves with photographs, flowers, candles, food and drink. Families even meet by the graves of a recently deceased relative to pray, chat and tell stories about their dead ancestors. 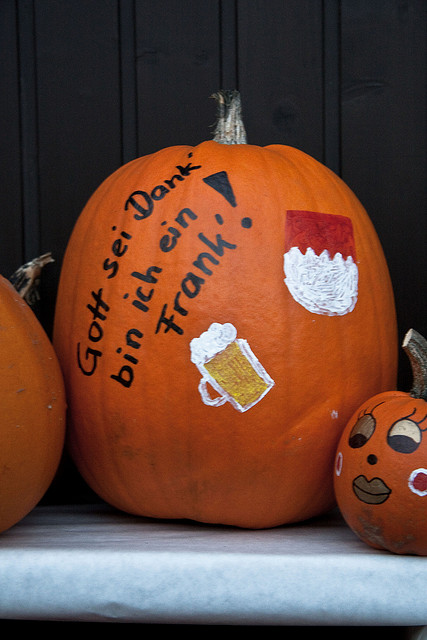 Austrian Halloween is largely similar to the celebration we know and love, with a few added traditions of their own. Some people will leave bread, water and a lighted lamp on the table before going to bed on Halloween night, as gifts to welcome to the dead back to earth. 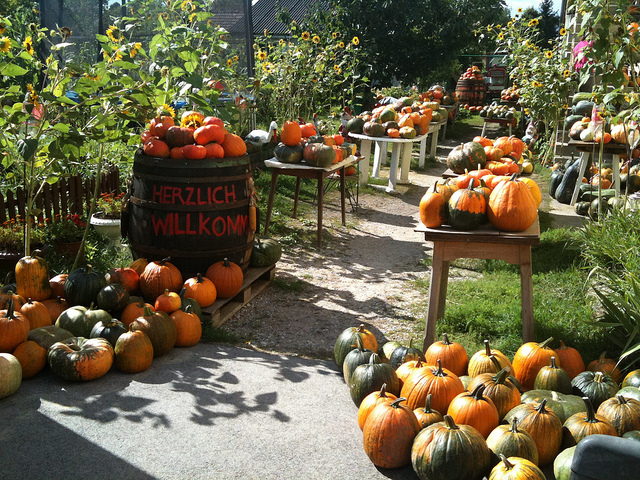 Perhaps more excitingly, the Austrian town of Retz holds an annual pumpkin festival (Kürbisfest) on Halloween, complete with pumpkins, parties and a parade (gotta love that alliteration). The Chinese have a celebration called Yu Lan, which translates to 'The Hungry Ghost Festival'. That's right, hungry ghosts. China may be the best country in the world. Anyway, according to traditional Chinese belief, the seventh month of the lunar calendar is when restless spirits return to the world of the living. The 15th day is Yu Lan itself, when many Chinese people offer food to try and appease the ghosts of their ancestors. They also burn faux money and other offerings for ghosts to use in the afterlife (pretty forward thinking if you ask me). As well as being a bit greedy, these ghosts are also rumoured to be dangerous when encountering their enemies, so Chinese people try to avoid risky situations during Yu Lan (so make sure you look twice before you cross the road kids). 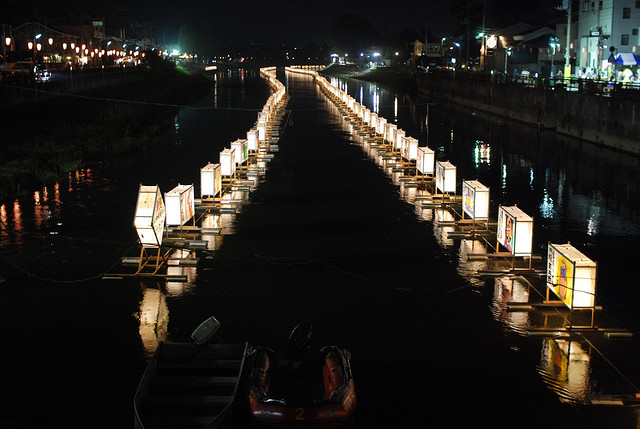 When the ghosts finally decide to head back to the underworld, the locals float lanterns down the rivers to act as a guide, much as the Japanese do during Obon. In Germany, Halloween has gone from being an unknown tradition to the third most commercialised holiday after Christmas and Easter. Most of their traditions are adopted from the familiar British/American ones - trick or treating, dressing up... They do have one weird one though. Germans put away their knives on Halloween night, just in case a returning spirit cuts themselves. Halloween in Romania is (unsurprisingly) based around the Dracula myth, with recreations of the witch trials that are believed to have inspired Bram Stoker taking place around the country. 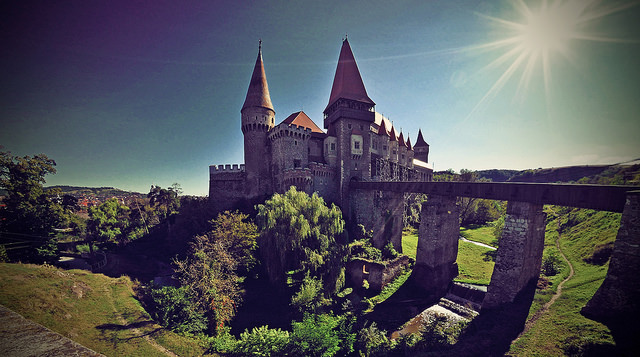 If you've really got a taste for the macabre, you can do special tours of Dracula's castle, complete with coffins and bloodless waifs. Festive.